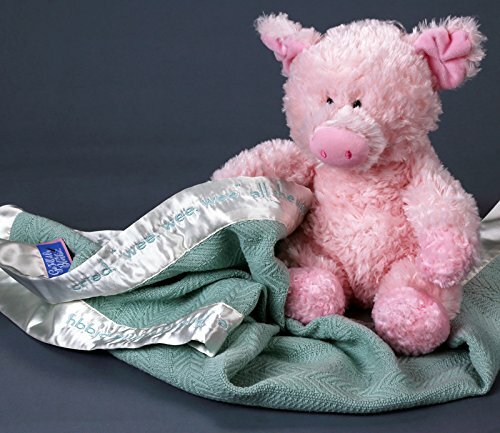 ''This Little Piggy'' Nursery-Rhyme-Embroidered Baby Blanket - Size 30''x30'' by Storybook Blankie, LLC at Animal Backgrounds. Hurry! Limited time offer. Offer valid only while supplies last. Celebrate the milestone of a 1st birthday, becoming a big sister/brother - or any special occasion - with this meaningful blankie/furry friend combo. If you have any questions about this product by Storybook Blankie, LLC, contact us by completing and submitting the form below. If you are looking for a specif part number, please include it with your message.